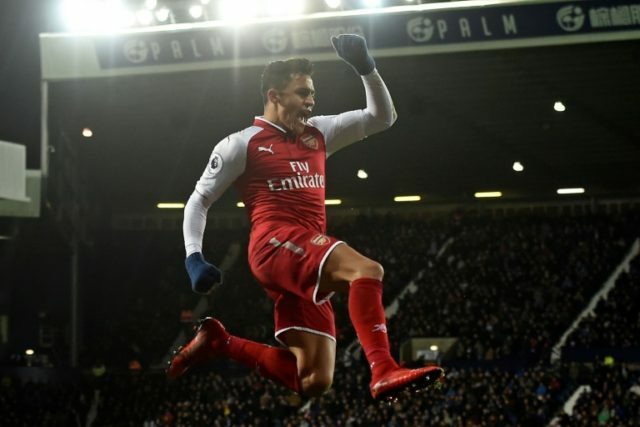 London (AFP) – Alexis Sanchez said Monday he was “thrilled to be joining the biggest club in the world” as he moved to Manchester United from Arsenal in a swap deal with Henrikh Mkhitaryan. It has been widely reported that Sanchez will earn a pre-tax salary of £500,000 ($695,000, 567,000 euros) a week. Armenia international winger Mkhitaryan, also 29, will head to the Emirates after he fell out of favour with United manager Jose Mourinho during 18 months at Old Trafford. Sanchez joined Arsenal for £31.7 million in 2014 after three years at Barcelona but his relationship with the Gunners soured after he tried to orchestrate a move to City last year. In an Instagram post, he took a parting shot at ex-Arsenal players who have criticised his attitude. “There are people (former club players) who have spoken with no knowledge of what happens inside the club and cause damage,” Sanchez wrote. Last week, former Arsenal defender Martin Keown called Sanchez “football’s biggest mercenary”. In a statement issued by United, Sanchez said he had spent “three-and-a-half wonderful years” at Arsenal “and I bring with me very positive memories of that great club and its fans”. Referring to Old Trafford, he said: “The chance to play in this historic stadium and to work with Jose Mourinho was something I could not turn down. United will be hoping their substantial investment helps close the gap on their Emirati-backed cross-city rivals Manchester City, who are streaking away with the Premier League title this season. Sanchez will partner Romelu Lukaku in the United forward line, with England strikers Marcus Rashford, 20, and the in-form Jesse Lingard, 25, forced to fight for their places. Sanchez spent three years at Barcelona, winning La Liga in 2013. At Arsenal he twice lifted the FA Cup, but did not come close to a Premier League title and his frustration has been evident this season amid reports of rows with teammates. He has played 119 times for Chile and helped his nation win back-to-back Copa America titles in 2015 and 2016, although they failed to qualify for next year’s World Cup in Russia. His move to United was celebrated in his homeland, where fans on social media lauded the Red Devils’ “winning” mentality, in contrast to the paucity of recent success at Arsenal. “The golden destiny of Alexis,” said daily newspaper La Tercera. The highlight of his stay in Manchester was scoring in the Europa League final victory over Ajax last season and he also helped United win the League Cup. Mkhitaryan told the Arsenal website he had “always dreamed of playing for Arsenal”. “Now that I’m here, I’ll do my best for this club to create history,” he said. Arsenal boss Wenger said he was happy to acquire Mkhitaryan in the deal. The Sanchez-Mkhitaryan deal is the latest move of a January transfer window during which Liverpool sold Philippe Coutinho to Barcelona for 160 million euros and signed central defender Virgil Van Dijk from Southampton for £75 million (85.5 million euros).